property over a mile away. living room provide an inspiring atmosphere for rest and renewal. county skiing, snowboarding or sledding. creek, flowing down from Lookout Mountain into a pristine pool. playing, whether it's hiking, biking or skiing. objective is that you have a very quiet and peaceful stay! 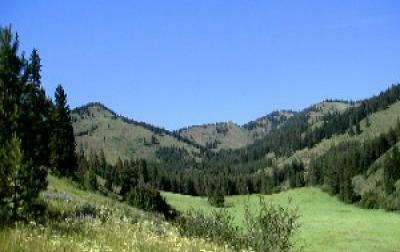 stunning 360 degree views of the Sawtooths and Columbia Plateau. ski trails, with endless opportunities for backcountry exploring. theater and a year-round, curated art gallery.